As I write, last minute preparations are taking place for the second annual official Wines of Jura trade tasting in London, which takes place tomorrow. 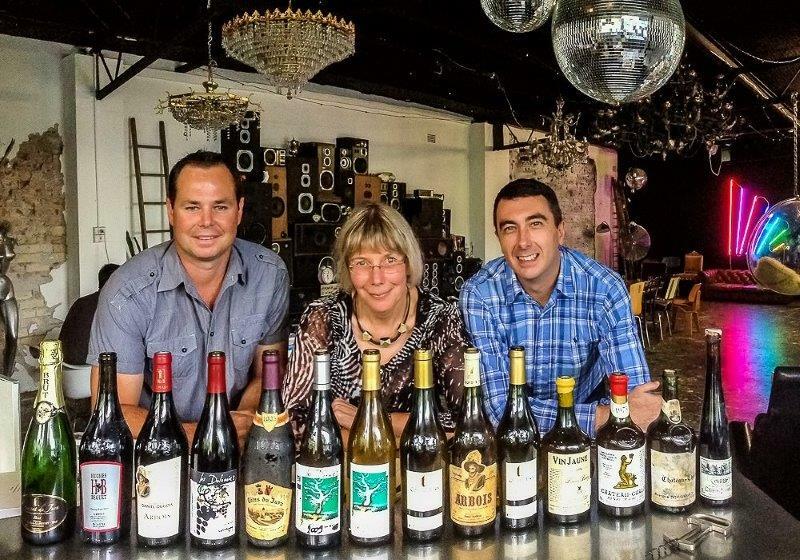 Twenty producers will be present each showing six wines on their tables. Mid-morning and mid-afternoon I host a masterclass giving an introduction to the wines of the region. And, at 1pm we will be celebrating the Jura wine book with a taste of four rather special Crémants du Jura. The great thing about this Jura trade and press tasting is that even though several producers have agents already, it is the producers themselves who come over to present their wines for tasting. The profile that follows is of one of these producers who has not yet found an agent and is my second excerpt from the book. Based in Montigny, this is the least well-known Tissot domaine, run today by Jean-Christophe and his sister Valérie Tissot, whose parents Jean-Louis and Françoise founded the domaine. The two women of the estate – Françoise and her daughter Valérie, who speaks English, will be at the tasting. Valérie is also president of next year’s Percée du Vin Jaune, which takes place in the village of Montigny on Saturday 31 January and Sunday 1 February. Sister and brother, bubbly Valérie and shy Jean-Christophe Tissot run this estate, but their retired parents Françoise and Jean-Louis lend them a willing hand, Françoise helping out with tastings and Jean-Louis in the vineyard – for them, retirement is theoretical. Françoise Masson from the hamlet of Vauxelles, between Arbois and Montigny, married Jean-Louis Tissot from Montigny (2km away) in 1965; she had two grandparents closely connected with the wine business. On her father’s side, Albert Masson ran a service making sparkling wines for vignerons, important even back in the early 20th century. On her mother’s side, Albert Piroutet was one of the founders of the Arbois Fruitière and among those who worked hard for Arbois to obtain the AOC in 1936. Françoise’s father also joined the cooperative and she inherited his vines to pool with the 1.6ha that Jean-Louis inherited from his father Maurice Tissot. In the early years Jean-Louis was part of the Fruitière too, but after planting 8ha of vines in 1990 they decided to start producing their own wines. Valérie studied wine production at Mâcon-Davayé and Jean-Christophe at Beaune. 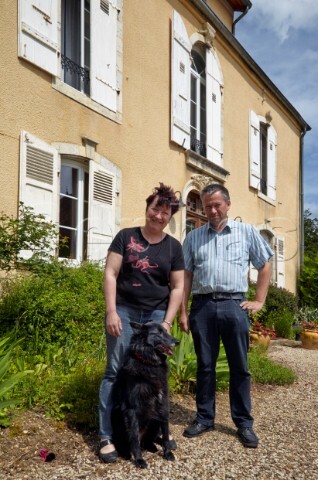 Today Valérie runs the commercial side of the business and Jean-Christophe makes the wine and is in charge of the vineyards together with their father Jean-Louis. They own various parcels around Montigny, including a few hectares in Les Bruyères with its heavy marl ideal for Poulsard and Savagnin. The vines are grassed down every other row, using herbicide only under the vine rows, and managed on lutte raisonnée lines with one full-time employee and three seasonal workers. Harvest is partly by hand and partly by machine and a small quantity of grapes is sold to the Cellier de Tiercelines négociant. Originally the wine was made and matured in Vauxelles, but in the early 2000s they bought a large house in Les Arsures, where Jean-Louis and Françoise moved together with Jean-Christophe. They installed a winery in the outbuildings with a ventilated loft area to dry Vin de Paille grapes and to age barrels for Vin Jaune, although most of the wine ageing remains in Vauxelles. Winemaking is simple and traditional. Reds are vinified in cement tank and, in the case of Trousseau and the Rouge Tradition (one-third each of Poulsard, Trousseau and Pinot Noir), aged in foudres. These reds in good years can be juicy and sappy, traditionally structured with those earthy tannins that are unexpected after the very pale colour of the wines. The Trousseau ages particularly well. There are two Chardonnays. The main cuvée is aged in tank and foudres, providing an excellent example of simple Arbois appley, mineral Chardonnay, needing a little time to emerge, and the Cuvée Jean-Christophe is partly aged in oak barrels; this is less successful. All Savagnin is aged for potential Vin Jaune and some withdrawn for a Reserve blend of 40% together with the classic Chardonnay, and some for a Savagnin. These are both decent examples, but the Vin Jaune shines as a very oxidative, nutty Arbois style with a touch of elegance. This branch of the Tissot family may be less visible than the others, but the domaine is well worth seeking out for good-value, true-to-type wines produced by a family of real ambassadors for Arbois and its wines. So far they have not exported, selling directly to consumers and through wholesalers in France.